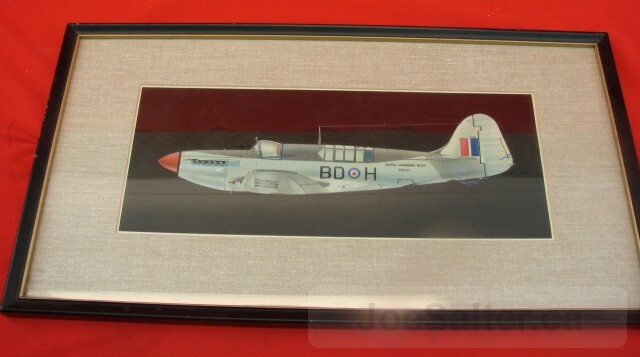 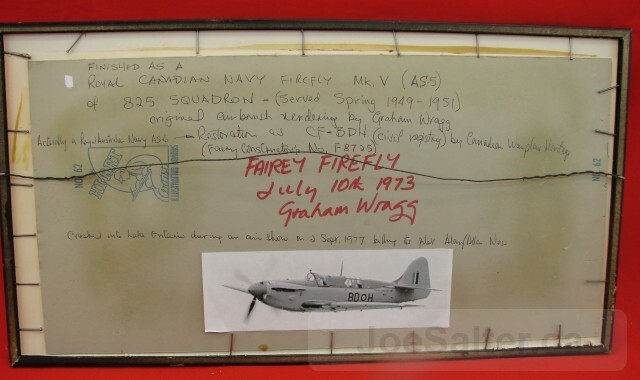 Framed original rendering of a Royal Canadian Firefly MKV from 825 squadron (1945-1951) This aircraft was restored as CF BND by Canadian war plane heritage . 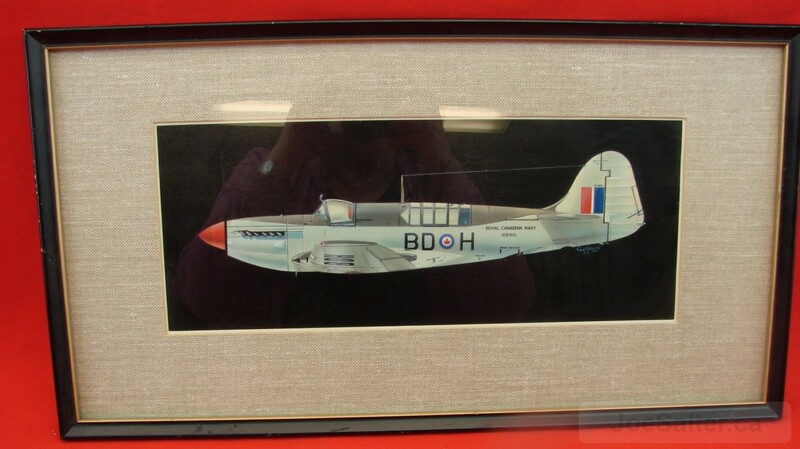 The piece was done by Graham Wragg (see item 20136). This aircraft crashed into Lake Ontario at an airshow Sept 2, 1977 killing the pilot, Alan Ness.